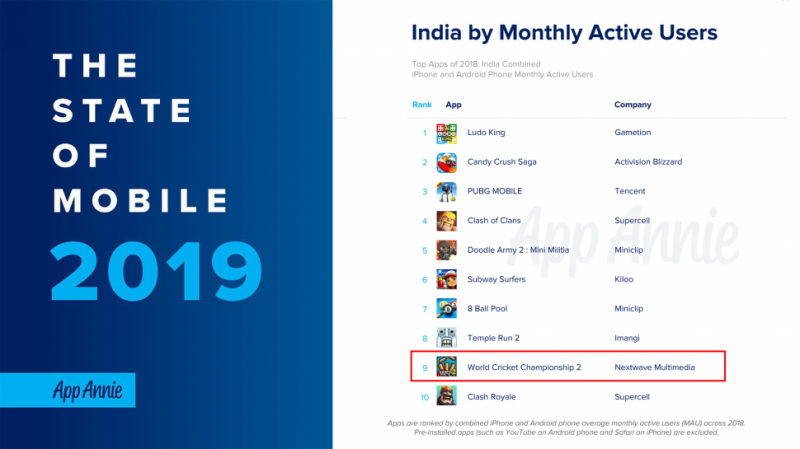 Once again, World Cricket Championship 2 features in the prestigious App Annie report for 2019. No other Indian game has been in the Top 10 games for the last 3 years in a row! To all our gamers, we’re humbled and thrilled by all the love you’ve given us. This 2019, we are even more committed to making the best cricket gaming experiences you can get anywhere… even better!